The Irizar ie tram is a 100% electric, zero-emission bus with the appearance of a tram that combines the large capacity, ease of access and internal configuration of a tram with the flexibility of a city bus. This model is developed in versions from 12m up to the 18m articulated version and with a maximum capacity of 155 people. The Irizar ie tram offers a clean, minimalist design and all its features correspond to specific functional aspects allowing it to create an identity and an image that are easily recognisable to its users. Accessibility, safety, passenger flow and passenger comfort are the inspiration behind the interior design architecture, resulting in a bright, comfortable, spacious, pleasant and safe interior. Accessibility and passenger flow are further enhanced by up to 8 sliding doors, the integral low floor, the seating arrangement, the interior distribution with wide aisles, the signage on the seats reserved for wheelchairs and/or pushchairs, the audible stop request information, the installation of ticket validation devices, the design of the driving position and the comfortable and effortless access. The interior design seeks to offer the user the sensation of openness and luminosity. 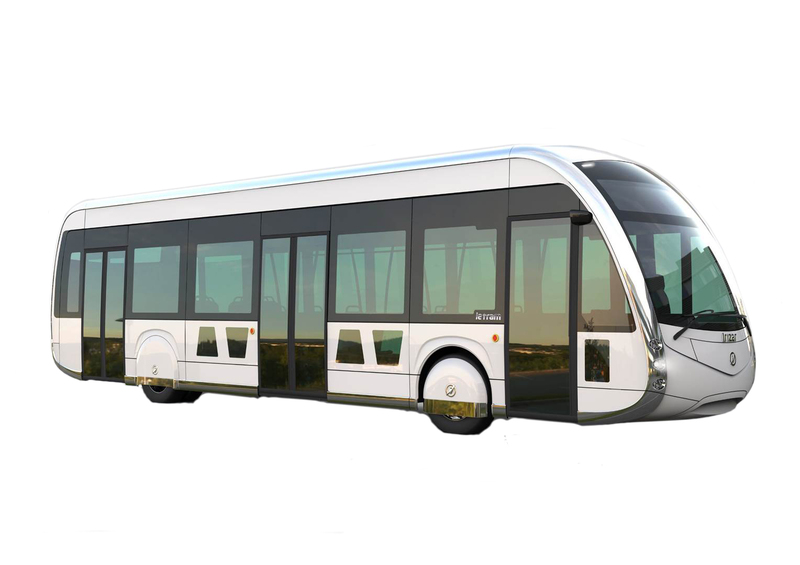 For your entertainment, Irizar enables the installation of a wide range of solutions: USB chargers, WiFi, Braille buttons, luggage racks, passenger information, interior vinyls, etc. Irizar has designed the batteries following analysis of the needs put forward by the operator with the sole purpose of guaranteeing the maximum possible battery range and offering the most suitable Irizar charging solutions, which include slow charging in depots, fast pantograph charging during travel, smart charging and/or pantograph charging in depots. - Recharging time 5 min. *No. of standees - Data varies depending on the MAM of eahc country and the number of batteries installed on the bus. Please enquire for other distribution possibilities. *No. of standees - Data varies depending on the MAM of each country and the number of batteries installed on the bus.